Its finally here. 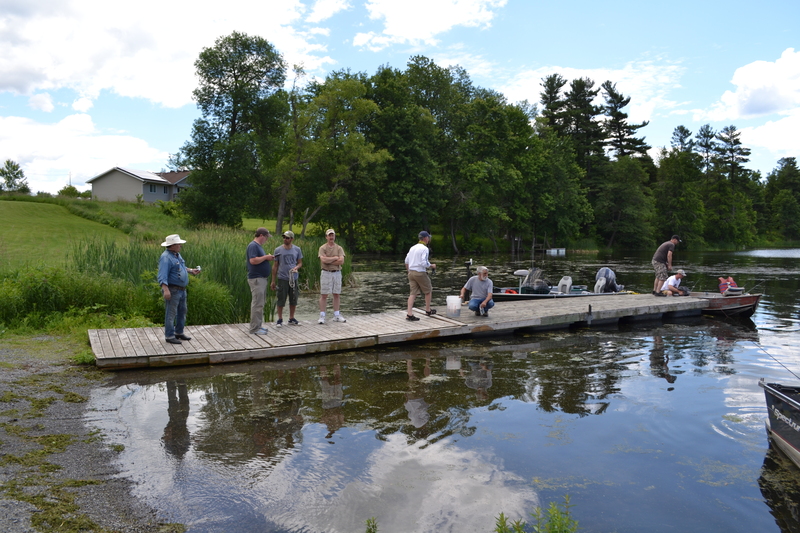 The day bass fishermen revere as holy. The day where we trade in our walleye and pike gear for braided line and wacky rigs to hit the slop with fervor. Precluded by restless sleeps and early morning Timmies runs, the story plays out much the same across the province. All types of people in all manner of water craft from questionable tinner to decked out bass boat share the same dream of bagging a bassquatch on opening morning. But its not just this dream that drives us to hit the water with such religious like fervor. No, Bass Opener is steeped in tradition here in Southern Ontario. Tradition that is centred around family and friends. For some, its their only chance to re-unite for a fish with their long lost uncle jimmy. For others, the day is set aside specifically for parent child bonding. For me, I had little to no tradition for this day other than getting out as soon as possible to maximize my bass fishing season. I had no loyalty to one lake and roamed from year to year trying my hand a new water constantly. 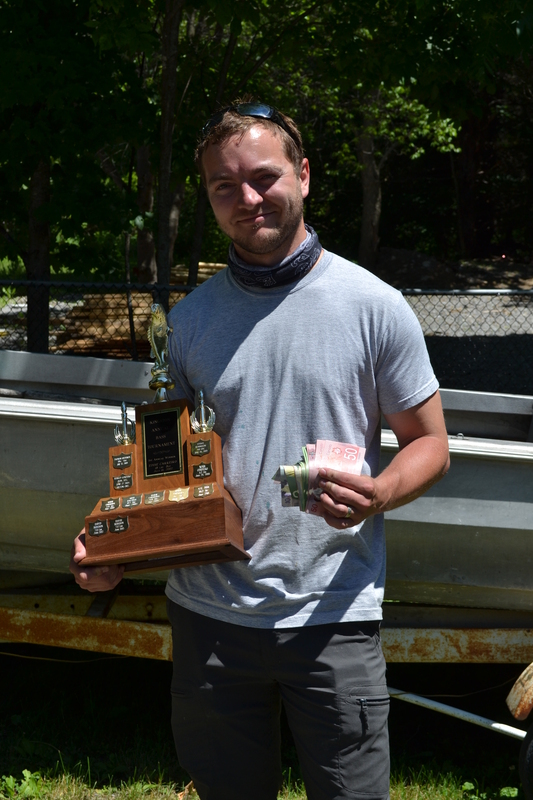 That all changed though when a fellow fisherman friend invited me to a local tournament on Collins Lake three years ago. With such great hosts, quality participants and amazing Portuguese food, I had finally found a tradition worth partaking in. Fast forward three years later and I am still taking part in this amazing event, made so not by the fishing, but by the quality individuals who take part. The beginning of this year played out much like the past three. We all met at Gabriel and Fatima’s house the Friday before opener for a few pints and to catch up with one another. Not to mention a little friendly trash talk to keep the spirit of competition alive. The meet and greet was followed by restless sleep for all and an early morning at the launch. Unfortunately for us this year, there was a lot of traffic on the lake as another tournament was taking place. This put a lot of pressure on the fish and made it even tougher for us. 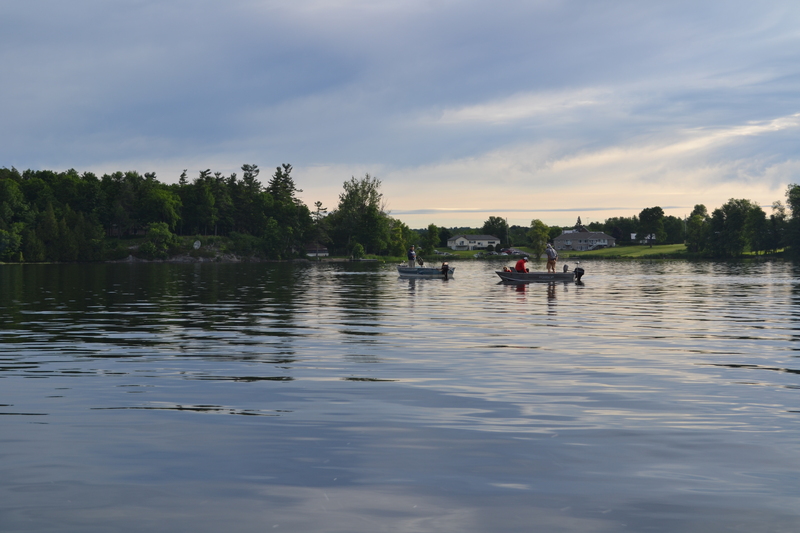 The silver lining was that, the first day was gorgeous and the conditions were optimal for bass fishing. The tournament itself has a really interesting structure. Fishing occurs over the course of 2 mornings and one afternoon. Fisherman can weigh in two fish after the first morning and have the oppourtunity to upgrade or cull these fish during the first afternoon. 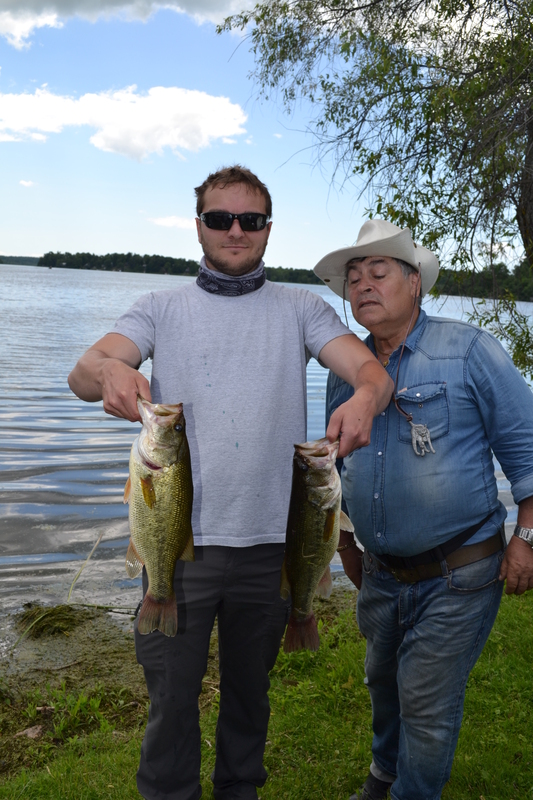 The second morning gives each angler a chance for two more additional fish. The great part about this structure is that livewells aren’t crammed with 4 fish and the fish don’t have to spend a whole day in a hot livewell. 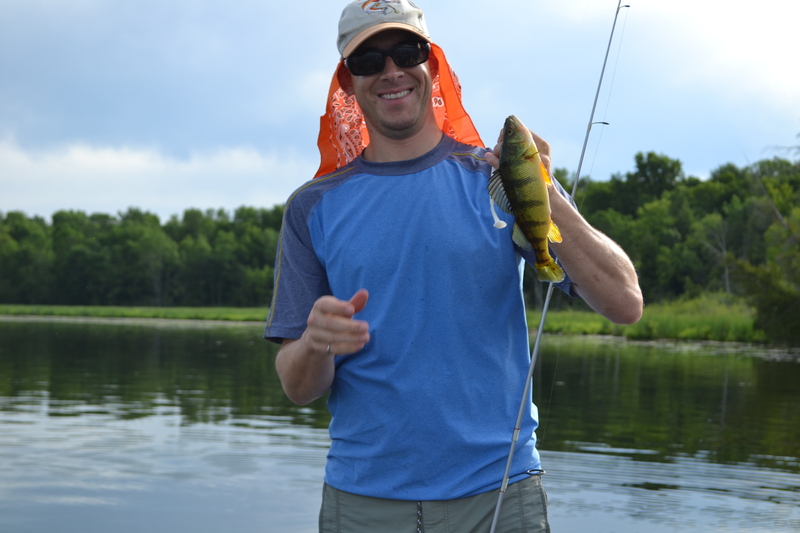 Fishing started off at a slow and steady pace. 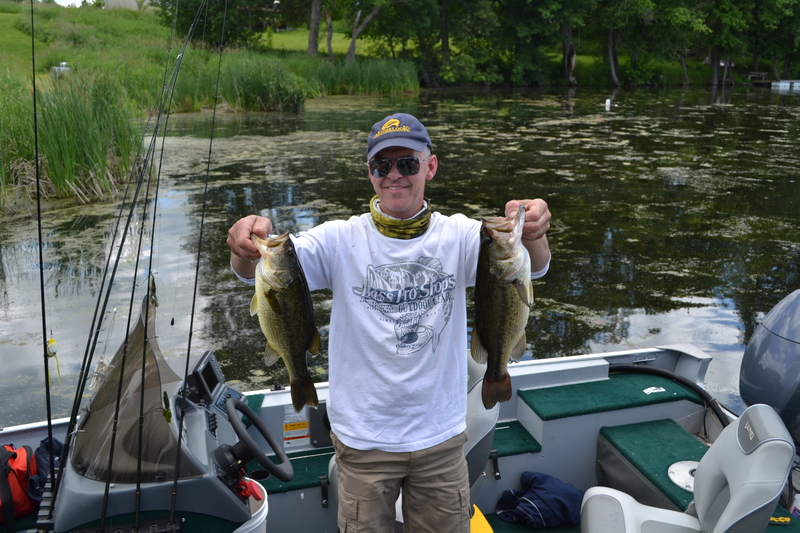 Dave (the former champion) and I had two decent fish each in the live well with multiple culling opportunities. 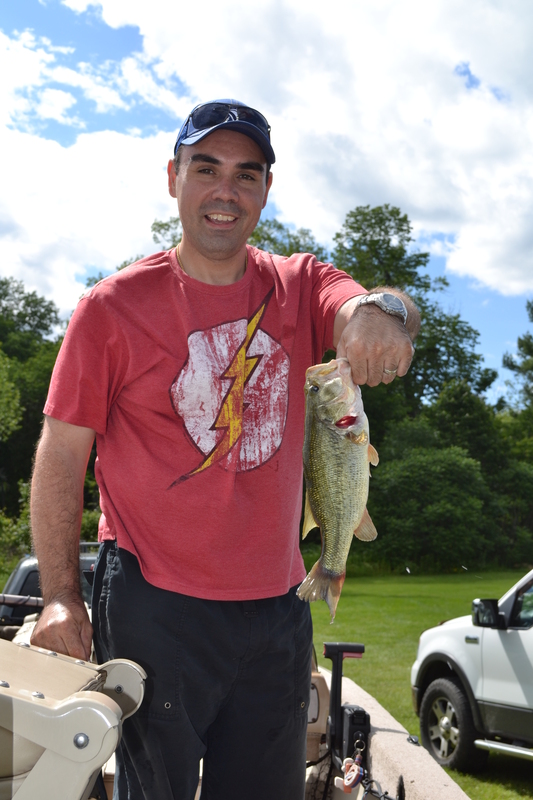 Although the bass fishing was turning out much better than the last year, the more exciting catches were incidental off species. Dave seemed to have a knack for hooking into large versions of anything that couldn’t be weighed in! The opening morning blew by quickly and the first weigh-ins of the tournament were upon us. 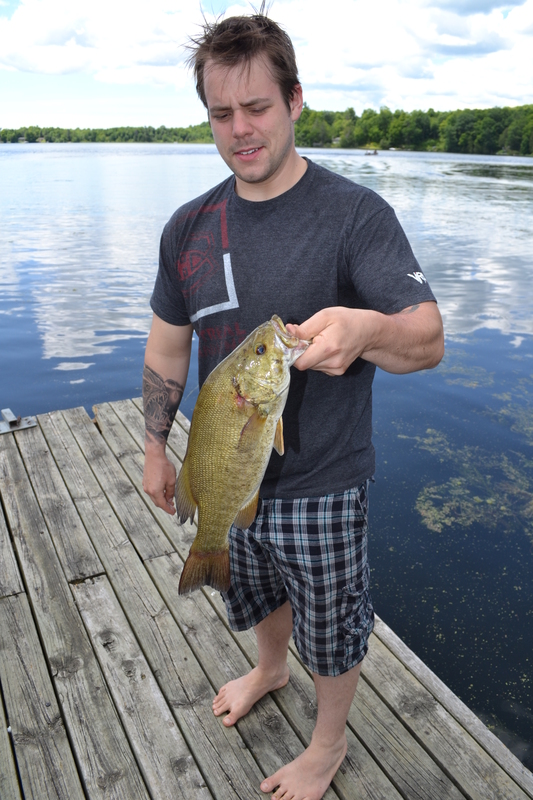 Quite a few decent fish were weighed in, including Dominic’s surprise 3.0 lb small mouth. Those of you who fish Collins on the regular know smallmouth are a rare occurrence on this lake, and a 3 lb smally is even rarer still. The end of the first day saw Jay with a healthy bag of fish and in contention for a top three finish. Fortunately for me, the bass gods were smiling on me during the first morning and I managed to weigh in two of the fish above for a combined weigh of 5lbs 5oz. Not a huge number, but then again, Collins is not a huge lake. Pretty much everyone had something to weigh in by the end of the first day and there was a group of 4 or 5 who seemed to be battling for a shot at first. The fact that the difference between 1st and 3rd was only 3 oz says it all. Everything was riding on the second day and that was a nerve racking concept considering the second day has historically been very slow for fishing in this tournament. Anxiously we completed the day and headed to Gabe and Fatima’s for a little socializing and alot of well needed relaxation. Sleep is a hard commodity to come by during these tournaments, even more so this year with so many people gunning of the top spot. Not to mention a cohort of anglers ranking just behind 3rd who had good solid weights putting them in a good position to catapult to first should they land a lunker. Considering my personal best LM was from Collins and weighed in at just over 6 lbs, I know better than most how very real a possibility this is. Dave and I hit the water the next day thinking we would start on the shoal we fished on day one. Considering it was immediately next to some deep water we speculated that fish would come back up to the shallows during the evening. Although it was good for some undersized bass on Day 2, we were left with no viable fish in our well and had to make a snap decision to keep trying shoals or to maybe try cranking the flats. In the end I wanted one more crack at another shoal that has always produced and so pulled up the electric and gunned over. This was possibly the decision that made the tournament for us as we quickly located and hooked up with some meaty largemouths. An hour or so later and Dave has a 4 -5 lb bag he would later weigh in and I had a solid 3lber with a little 1lb kicker. Now Dave was looking good to jump from 4th to the top. 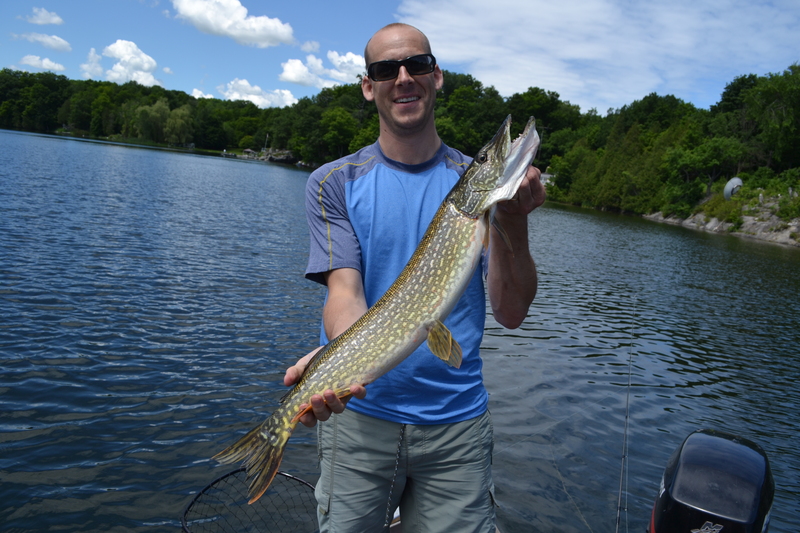 With the shoal fished out, we probed a few more shallow spots and some lake edges catching a couple more mediocre fish. Our last trick in the book was fishing some large flat areas that had tall weeds with empty pockets scattered throughout. The flats turned out to be the perfect mid morning location and we began hooking into some very decent fish. Thankfully I was able to cull out my 1lber for a nice fish just under 3 lbs. This brought my total up to 11 lbs 5oz but there was no telling what the other anglers would drum up. Had to get my fish inspected by the resident comedian in our group (above). Thanks for the Laughs Joe! 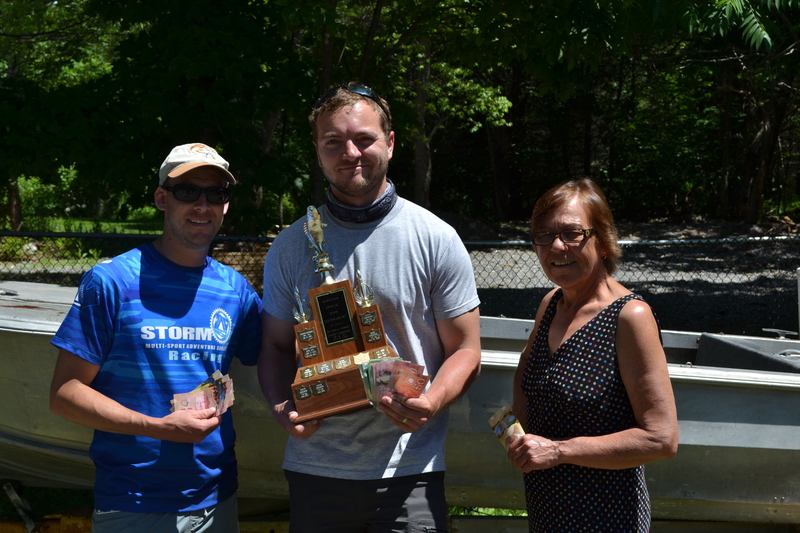 Sure enough, the lunker factor played a role in the tournament as Fatima (one of the tournament hosts) brought two giants up to the scales. Combined with here 2.4lbs from the day before, these giant fish catapulted her into the top three in no time flat. 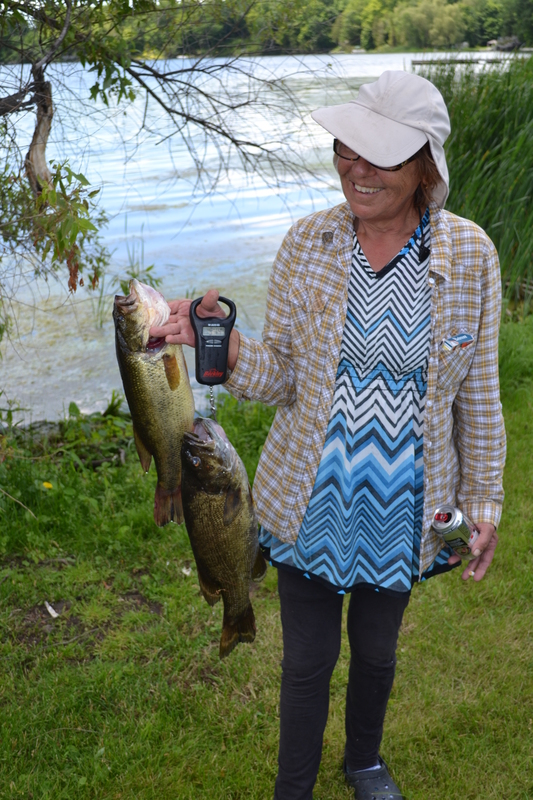 Possibly the most impressive fish of the tournament was her 3lb 15oz smallmouth bass. Good Job Fatima!! 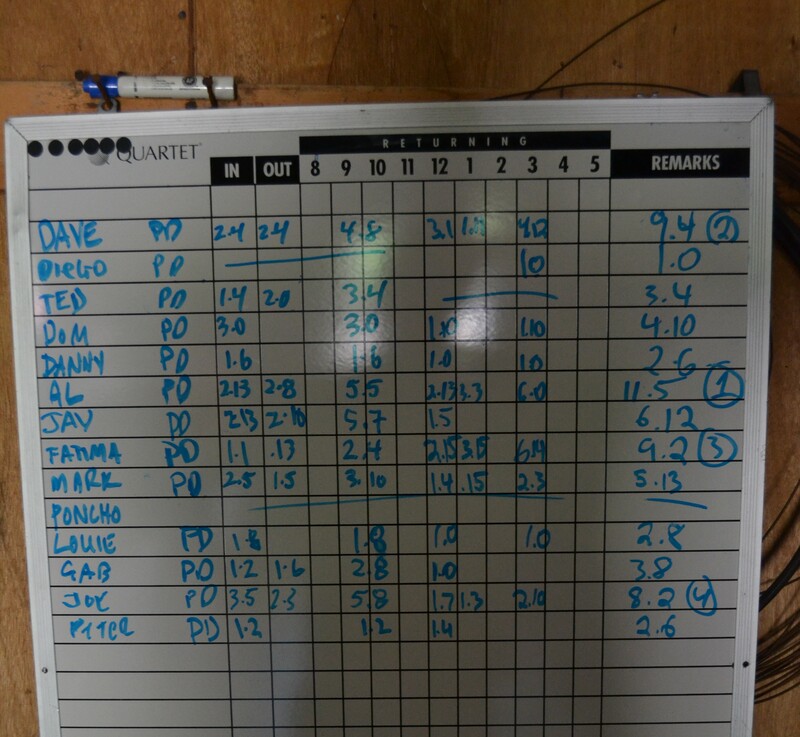 When the dust settled my 4 decent fish managed to maintain the lead, Dave jumped from 4th to second with his catch from Day 2 and Fatima came from behind to steal 3rd place. 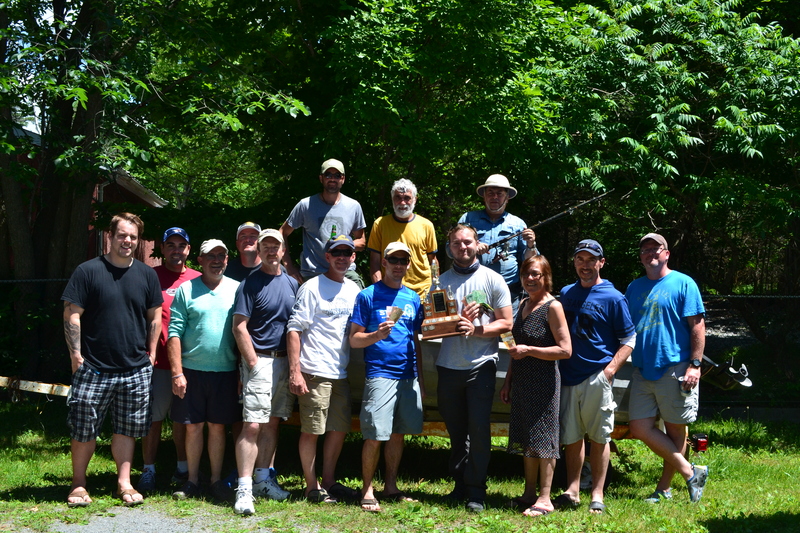 The competition was fierce and the fishing was top notch which made for lots of fun and some great memories. Collins Lake always surprises me. It is such a small body of water that receives an enormous amount of fishing pressure, yet it still manages to produce some quality fish and in good numbers. Not to mention the odd smallmouth! 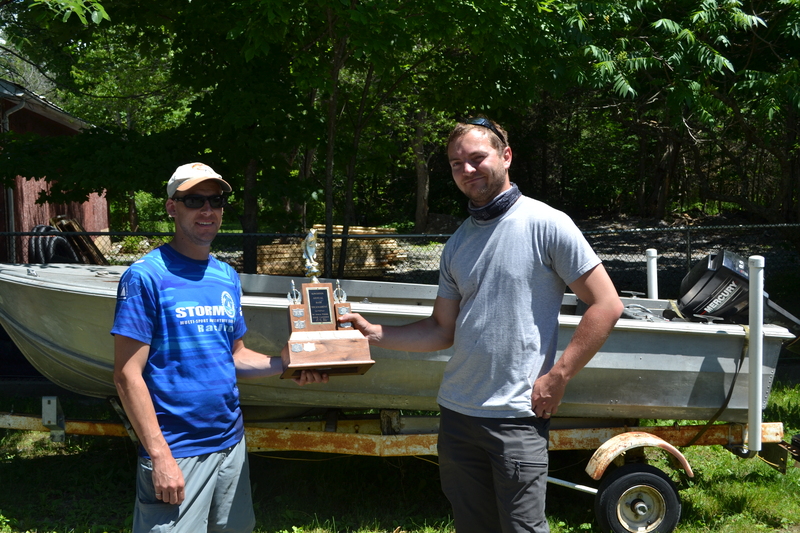 Weighs and numbers from the last two years seemed a bit stunted when compared to the lake’s past glory. This thought was a bit depressing. However, after this year’s success I am left with an overwhelming sense of optimism for the lake. Again surprised by the lakes tenacity as a fishery, I am confident trophies will still be available when my kids take up the torch. Still, future success on this lake is dependant upon catch and release efforts, proper care of the fish when kept in a livewell and an over all attitude of conservation. If you fish this lake, or any lake, please do you part to maintain the health of those big buckets. 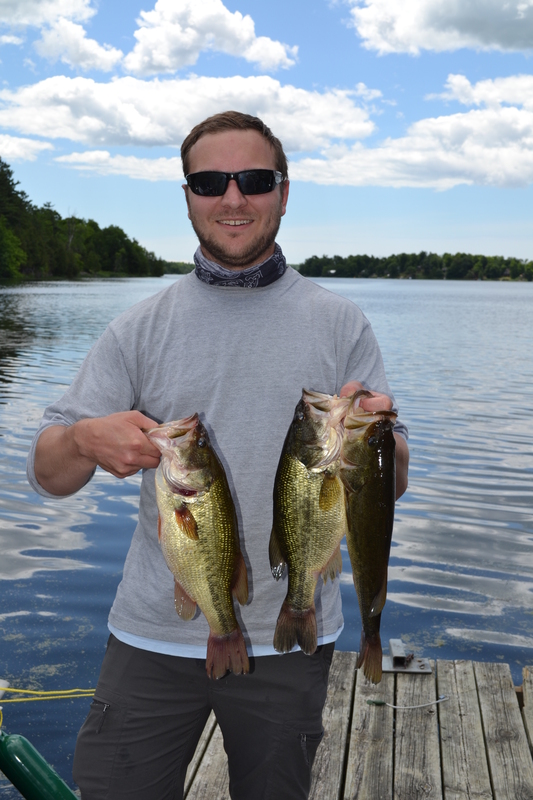 Your not only keeping these fish healthy, your keeping the tradition of bass fishing in Ontario healthy as well! 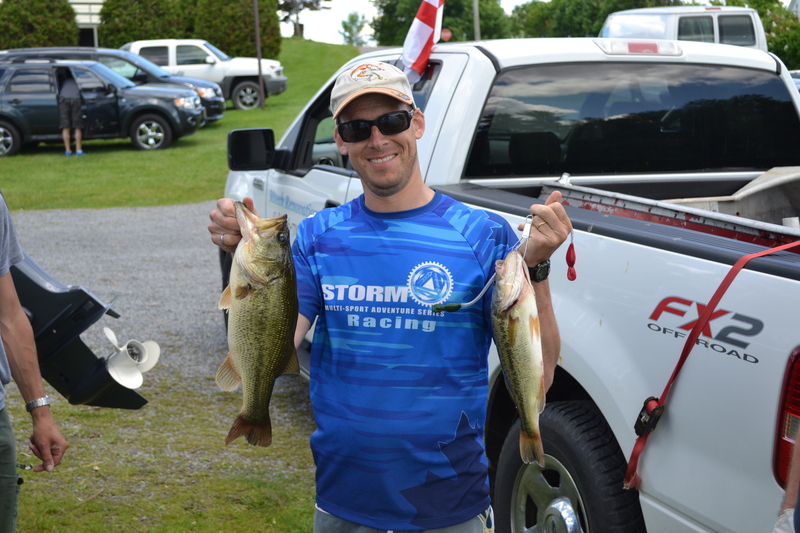 This entry was posted in Fishing and tagged Bass fishing, bass fishing near kingston, bass fishing on collins, get outdoors, Get Outside, the wild side of ontario, the wilds of ontario, travel ontario, wild ontario. Bookmark the permalink.